The goals of the Middle School are to enable students to develop the skills and tools necessary to succeed at the high school level and to prepare them to meet the academic challenges of college and graduate study. A strong emphasis is placed on developing critical thinking and analytical skills during a student's middle school years. 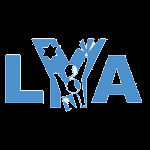 The program seeks to deepen students' understanding of their Jewish American identity and guide them in applying their learning towards the betterment of society by stressing the importance of community involvement. Special attention is given to the unique needs of middle school students as they move from childhood to adolescence. The program instills responsibility and accountability, builds value systems and develops healthy self-esteem for 6th, 7th and 8th grade students. A comprehensive program of academics and extra-curricular activities emphasizes academic achievement, the development of leadership skills, community service, and the development of Jewish identity. In the Middle School, students receive instruction in a full array of secular courses, including reading, computers and technology, expository writing, studio arts, math, science and music. In addition, students undertake a broad array of Judaic studies that build Hebrew language skills, promote a love of Israel and Jewish culture, and develop a greater understanding of Talmud, Torah and mitzvot. Extra-curricular opportunities include the school newspaper, student lighthouse team, community projects, and educational trips to Boston, Washington, D.C. and a biannual Israel experience.